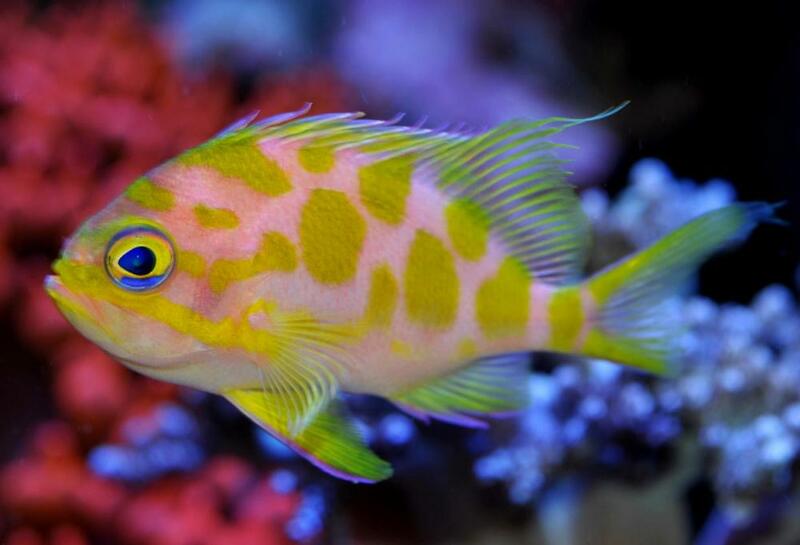 The Borbonius Anthias, also known as the Blotchy Anthias, is a very rare deepwater anthias, which lives in a temperature range of 72 degrees to 77 degrees in nature, although, in its widespread distribution, it can sometimes be found in waters up to 80 degrees. It fares better in a cooler tank, and is not recommended for any tank that runs overly hot. They are often found to be solitary, and so do not need to be kept in a shoal. Generally, it is never found far from a cave or crevice in which it can take refuge. As this is a very deepwater Anthias, it will need gradual introduction to the brighter lights of our aquariums. It is best suited to tanks which have an element of shaded areas.